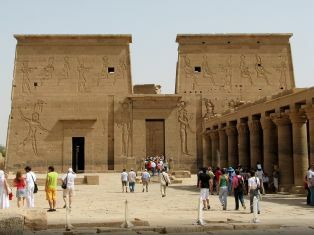 Why not take an opportunity to travel to Egypt for Easter and visit The amazing Pyramids of Giza and the Egyptian Museum in Cairo and then take a cruise along the magical Nile to visit the fantastic sites in Luxor and Aswan and the beautiful Temples in Kom Ombo and Edfu all of this and experience a sleeper Train as well. 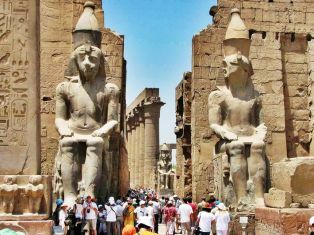 Your tour Guide will pick you up from your Hotel after you have enjoyed your breakfast to transfer you for a visit to the amazing Giza Pyramids of Cheops, Chephren and Mykerinus..After this see the majestic Sphinx which has the head of a pharaoh with a lion's body and stands on the Giza Plateau. we journey on to visit the fabulous Egyptian Museum.The Museum houses many artifacts from the Pharaonic period,you will also have the great opportunity to view the fantastic Tutankhamun. Time now to take a break for Lunch. After enjoying your Lunch continue on to Old Cairo to visit The Hanging Church. This Church has steps leading up so became known as the Staircase Church.Carry on to view Ben Ezra Synagogue . 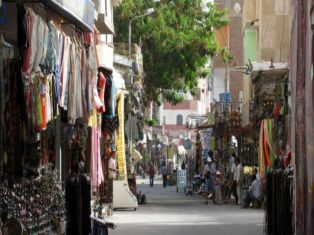 Time now to enjoy the hustle and bustle of the colourful Khan El Khalili Bazaar and shop until you drop. 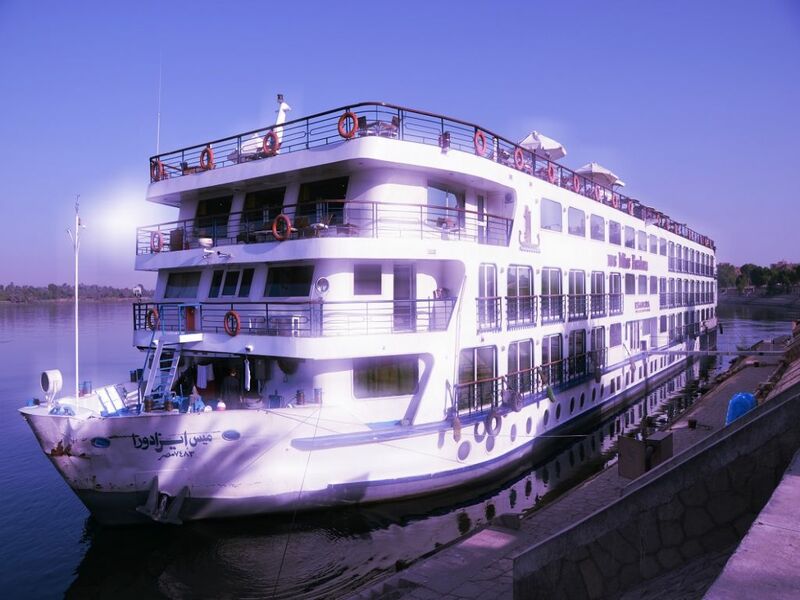 When you have finished your tours you will be transferred to Giza Train Station to connect with your sleeper Train from Cairo to Aswan. Our Reflections representative will meet you at Aswan Railway Station to transfer you for your visit to the famous High Dam which controls all of Egypt’s water. Journey onto the great Unfinished Obelisk. 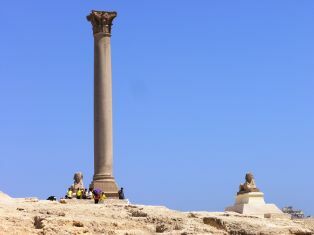 The Obelisk weighs 1,168 tons. Now visit the beautiful Philae Temple, which the ancient Egyptians built for the Goddess Isis, she represents Health, Marriage and Wisdom. 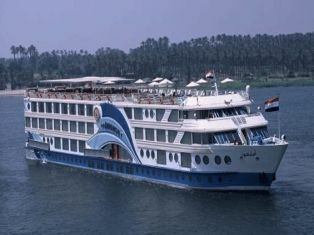 After your visits you will be transferred to check into your Nile Cruise. Over night on board. Meals : Lunch, Dinner . Breakfast on board.Now Sail to Kom Ombo . The Nile is not just life for Egypt but is also a source of goodness, that is why most of the Temples in Egypt are built on the River. Now sail to Edfu to visit Horus Temple. The Temple of Edfu is an ancient Egyptian Temple which houses important scenes and inscriptians of the Sacred Drama .Sailing onto Luxor. Over night on board. 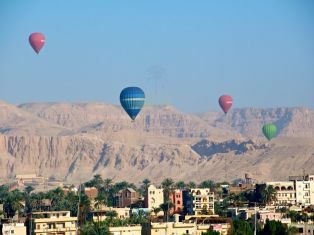 After breakfast on board take a visit to the West Bank home of the famous Valley of the Kings. Journey throught the valley of the Kings and explore the tombs .So let us unlock the secret story of the Royal Tombs, the world of mystery and treasure. Temple of Queen Hatshepsut at Deir El Bahari . Queen Hatchepsuit was the first Pharonic woman to rule Egypt. 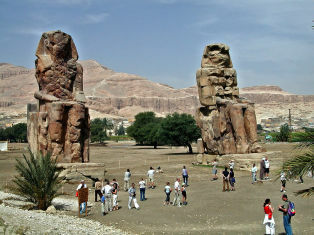 Now onto the Colossi of Memnon facing the Nile. 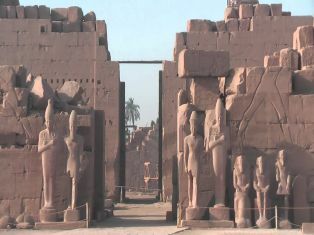 The Colossi are twin statues of Amenhotep III, a large earthquake reportedly shattered the northern colossus,after the rupture the lower half of the statue was reputed to Sing, always within 1 or 2 hours of Sunrise.Over night on board. 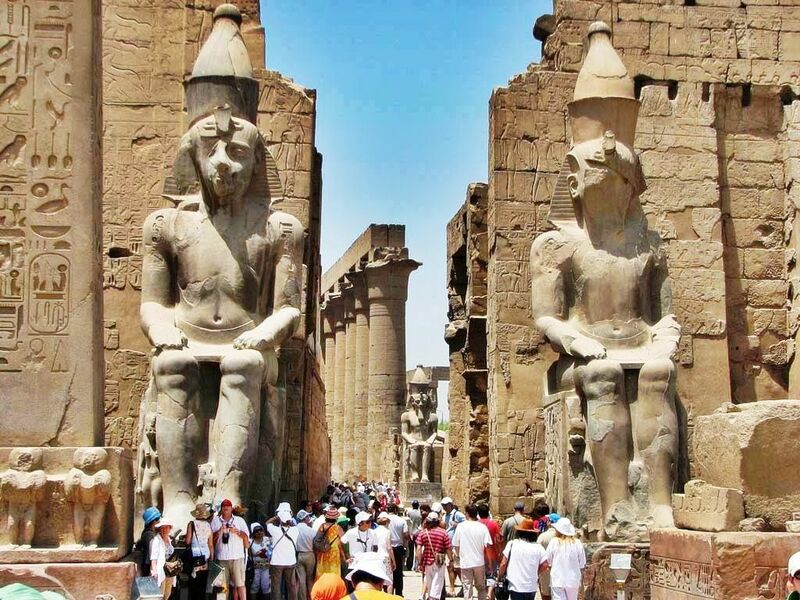 After breakfast disembark your Nile Cruise and our guide will accompany you to visit the magical Karnak Temples, the greatest example of worship in history and was dedicated to the God Amun and his wife Mut. 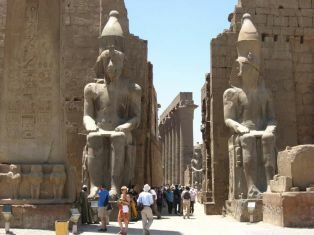 Then continue onto visit the majestic Luxor Temple which was built by Amunhotep III in 18th Dynasty in the New Kingdom and it was completed by Ramesses II during the 19th Dynasty. King Ramses II was the most famous king in the 19th Dynasty he ruled Egypt for about 67 years. 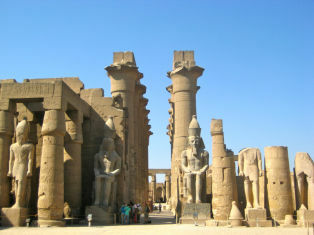 Enjoy visiting Obelisk of Ramses II in front of the 1st Pylon. Transfer now to Luxor Railway Station to connect with your Sleeper Train back to Cairo. Over night on Sleeper Train. Our Representative will meet you at Giza Railway Station Cairo to transfer you to your Hotel. Today you have the opportunity to take some optional tours to Alexandria, Sakkara, Dashur, Step Pyramids, or take some time to discover the City of Cairo. Overnight in Cairo.